Chief Marketing Tech does a yearly round up of the technology/marketing tools. For example, as recently as 2016 there were over 3,000 digital marketing tools. And now, even more! As a result, the wide array and selection becomes overwhelming. Or exciting depending on your point of view! Depending on your needs, the right solution remains only a click away. To help, the following list includes the most popular, heavily used, and feature-rich products guaranteed to help your business get the most from these technologies. Summary: HubSpot is known as the easiest to use marketing automation tool. HubSpot themselves are one of the most educational companies around digital marketing focusing on Inbound Marketing, SEO, email, and social media. Price: HubSpot starts Free for their most basic features, with most sites falling between Pro $800/mo and Enterprise $2,400/mo. Summary: Another popular marketing automation tool for small businesses is Infusionsoft. It is a common find in the e-commerce market, as well as other industries that have frequent online sales. Handles online sales, a feature most marketing automation tools do not offer. Price: Infusionsoft starts at $199/mo with its largest package at $599/mo plus other possible add-ons for more leads or emails. Summary: Marketo is a highly advanced automation tool with a vast array of features, options, packages, and more. When your company has an extensive list of 100k+ Marketo is the next step for lead scoring, segmentation, automation, and data. Price: Marketo pricing is highly intricate with several options each feature package. There is no pricing information on the site. Summary: WebEngage is a Marketing Cloud that helps brands boost their Retention Marketing efforts with hyper-personalized, highly contextual communication campaigns. It is a full stack Marketing Automation platform that helps brands create intelligent user engagement campaigns on multiple channels like Email, SMS, Mobile and Web Push, In-App and Web Messages etc. Live Segmentation – Create static and rolling segments to branch out your users into various groups based on preferences of your liking. Cross-Channel Communication – Create campaigns that go beyond a single-channel: Target your users where they are actually present, or spend the most amount of time. Data-Driven Personalisation – Map important data points to understand the user’s behavior on multiple platforms, and understand their motivations behind performing certain actions. This will help you create highly targeted, contextual campaigns that actually add value to a user’s life and increase conversion possibilities. Price: Start your free 14 days trial to experience the next generation of marketing solutions. Summary: ClickFunnels is a price-friendly tool that offers automation, integration and unlimited emails without compromising quality. It is easy to use, has a drag and drop design feature, and allows you to sell and automate marketing. Price: From $97 for the standard package to $297 for the full suite. Summary: Engagio allows your marketing team to focus on ideal clients for your company. Once you’ve selected accounts, bring them into Engagio for account based analytics that integrate with most marketing automation platforms, and allow you to be more specific with different channels of marketing, and get sales and marketing teams to align for best results. Price: Not listed, must get a demo. Summary: Demandbase is another account-based marketing solution. They offer integrations with several other tools outside of marketing automation, to make an easier leap to sales, advertising, and analytics. The dashboard seems to be feature rich, and complicated, though gives the user every tool possible to get the job done. Summary: Quite simply this tool helps data from one application talk to another. If you make a list in Asana, Zapier will automatically add cards to Trello. If you have a new email in MailChimp, a new document can be added to Google Documents. Save time, get Zapier. Price: Free to $90.75/mo with 50,000 tasks (note tasks add up quickly). Summary: Different from Zapier, Segment collects all of your customer data and through their own data processes, they send it where you need it for analytics, projects, etc. Think of it as the ultimate customer database. One API to integrate with. 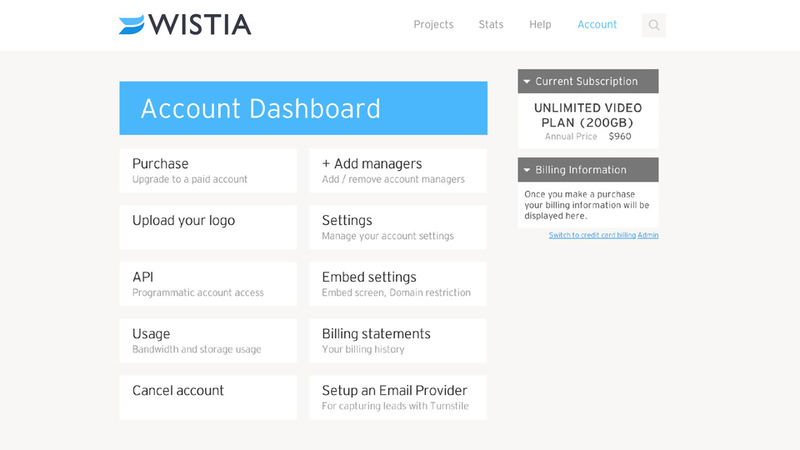 Price: They offer a free account for developers, and paid accounts start at $100/mo. Summary: Another business and information automation tool, IFTTT is completely free and works on many of your favorite apps. It even works on tablets and smartphones. Summary: Popularly known for being a free lead capture tool, that allows limited list sizes, and one Final Welcome email, MailChimp became a fast favorite. Once you upgrade to paid accounts, list sizes can increase, and you can automate the sending of many more emails. Price: Starting at Free, and offering a Pro Marketer account from $199/mo. Summary: ActiveCampaign is more of a marketing automation platform, but because they focus heavily on email marketing we are listing them here. A strong point for AC is the ability to work as a CRM while delivering top-notch email service. Price: Their entry level account is $9/mo going up to $149/mo. Summary: Send marketing emails and transactional emails all from one dashboard. 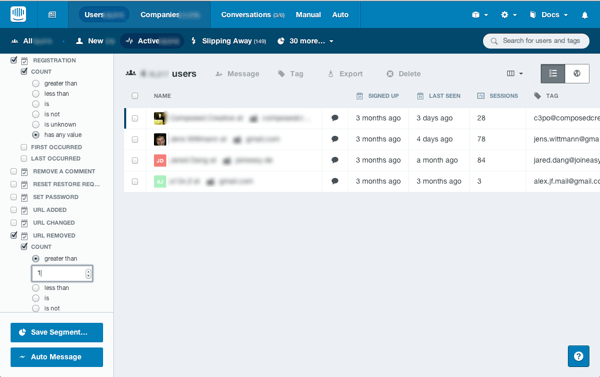 SendGrid makes it easy to handle all of your emailing from one place without needing additional integrations. This helps keep you from sending too many messages at once and overwhelming the user. Price: Starts at $9.95/mo and increases based on the number of leads and emails sent per month. Summary: Track usage of your app and use the information to automate appropriate in-app and email messaging that encourages retention and engagement. 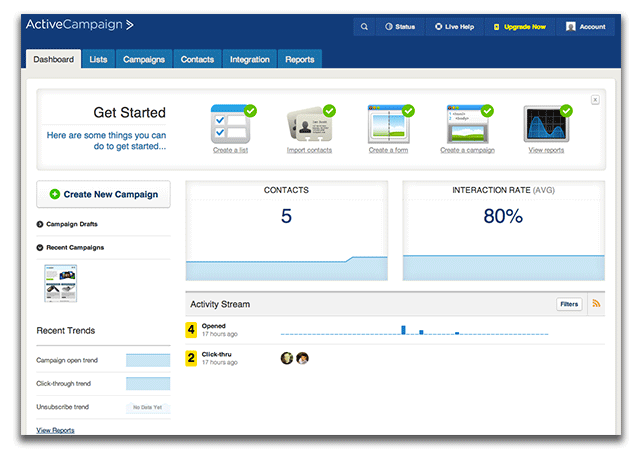 Similar to Mixpanel with email marketing and in-app messaging included. Summary: An alternative to Intercom, Clevertap also includes segmenting, funnels, and other campaign options. Specifically for mobile apps and website usage. Summary: A social media tool that allows you to save multiple messages in a queue that are pulled based on a schedule you set. Along with the browser extension, this is one of the easiest ways to save messages for your social accounts. Price: Free for individuals with a 10-item queue. Up to $399/mo for businesses. Summary: Manage all of your social media activities in one application. Pull in feeds from Facebook, Twitter, Linkedin, and others, while scheduling posts for the future, and monitoring for keywords. Price: Free for up to 3 social accounts, then $9.99/mo. Summary: For companies who expect a lot of chatter about their brand on social media, Mention offers one place to see all of these mentions and respond to them. Price: Solo plans start at $29/mo. Summary: A social media contest tool that offers a simple to use interface, with several options for collecting data. There’s even a bit of gamification to entice users to compete. Summary: Another social media contest tool with a few additional features that allow competitors to collect more points. 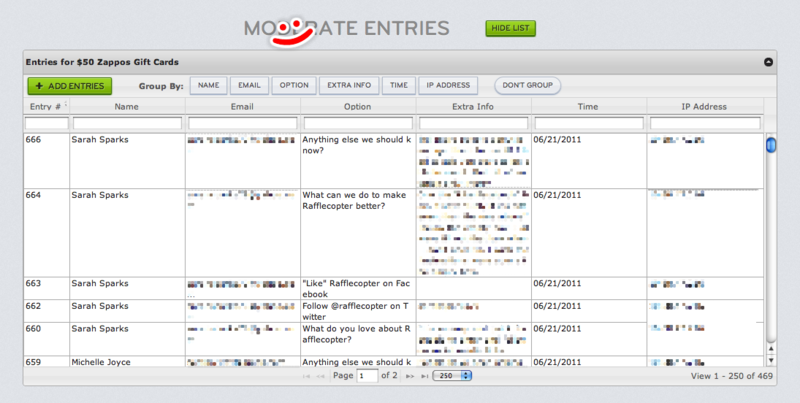 Rafflecopter has several integration options so you can share lists with your marketing automation application. 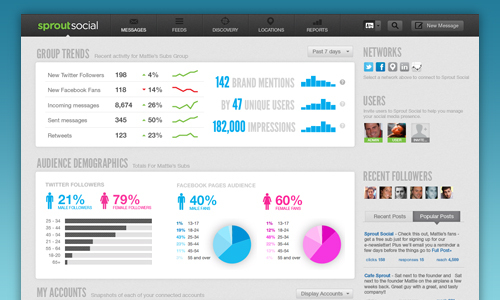 Summary: Another social media dashboard with a friendly and feature packed design. This is social media for businesses, with reporting, blog subscription feeds, and a beautifully easy-to-use interface. Summary: A suite of marketing tools that help you increase traffic all in a WordPress plugin. Several of the features are free to use, or at least to some extent, and analytics for usage are included as well. Summary: Contently puts all of your content marketing activities in one tool. Create content, optimize it, add images, etc. Then, publish it and share it to email lists, social media, and other outlets. Finally, track what is working to make decisions for improvement. Price: Not listed, must request demo. Summary: Outbrain hosts thousands of publishers who allow ads on their sites to promote your content. On the other side of Outbrain you can join to have the ads on your site, and earn ad revenue. Summary: As Buffer allows you to set items in a queue for delivery, Quuu gives you content to auto-fill Buffer. Choose your favorite categories and Quuu will send new content everyday. They also offer content promotion, for as little as $30 per post. Price: From Free to $30/mo. 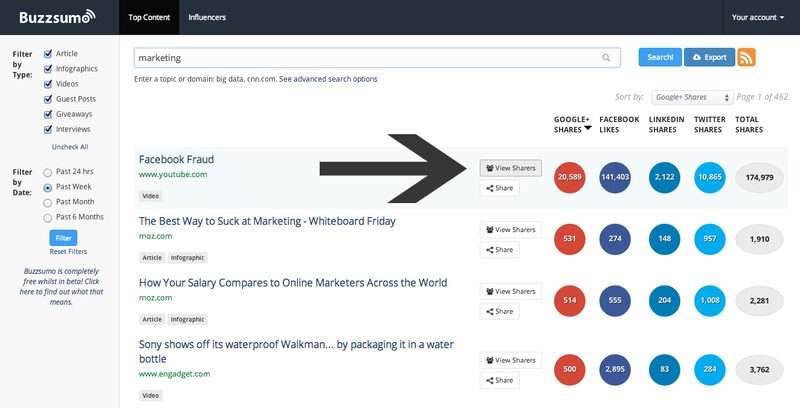 Summary: Buzzsumo offers a searchable database of content titles and topics from the last year for you to identify the most popular content. This allows you to find popular topics for your content marketing strategies. Summary: It’s always best to work in one platform whenever possible, and Contentools makes that easy for content marketers. Inside Contentools a marketer can research content, collaborate on content, write, schedule, publish, and share. Summary: Zest is a chrome extension for new tabs that presents curated marketing content. All content goes through one of the co-founders before being posted to the site to ensure top quality. Marketers can suggest links, and follow their favorite users. 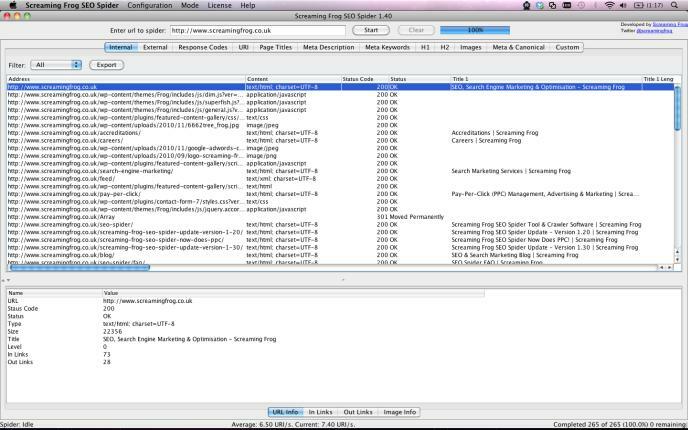 Summary: Screaming Frog is a popular industry tool used to help you visualize the SEO meta data on your website. There is a free version but it only offers a certain level of information. This tool helps you perfect your onsite SEO information. 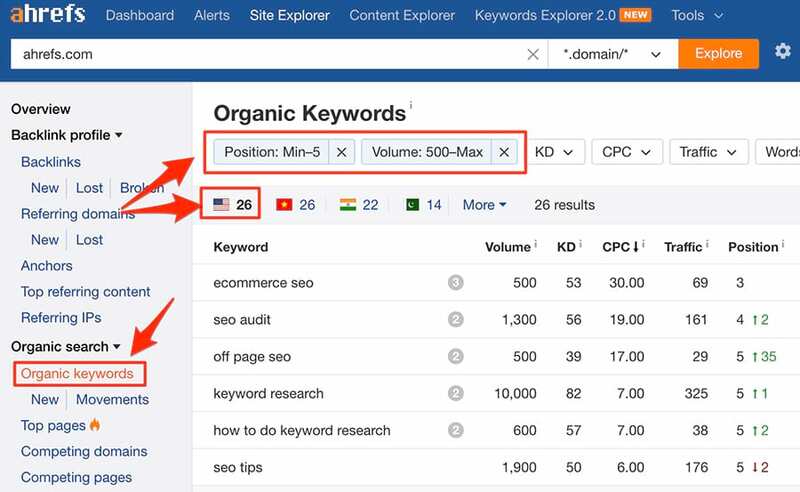 Summary: Research keyword opportunities to identify where your website can rank. You’ll see opportunities for low hanging fruit, and see how competitors rank. Summary: The most important aspect of SEO is linking, and with Ahrefs you’ll see where your links are coming from, where competitors get links, and changes in linking. Summary: A unique SEO tool that helps you find appropriate context for your article. Include the right language for improved rankings. Summary: There are hundreds of long tail keywords you could possibly rank for and Hittail helps you identify the best ones for your site. Summary: Easily load your site into Optimizely to construct and implement A/B testing experiments. Experiments can be based on several options, such as audiences, revenue, and conversions. Price: Free trial, price not listed. Summary: One of the easiest solutions for A/B and split testing on your site. The drag and drop interface makes testing easy, and charts help improve decision making. Summary: Google uses it’s analytics platform and adds testing capabilities. Optimize 360 is easy to use, and works flawlessly with your analytics making it a supremely powerful tool in conversions. Price: In Beta, price not listed. Summary: Build landing pages quickly from templates. Extensive customizations for web and mobile pages, and simple testing. Summary: Landing pages that integrate and work on WordPress. Make your landing page, and get a free link to share and test it for free for 14 days. Price: From $29/mo paid annually. Summary: Use heatmaps, surveys, and NPS to discover how users and visitors use your site, then make decisions on how to improve your product or service. Summary: Track every action your user takes, from signing in to where they click, what they read, and what features they use in your application. *Data points go quickly, every active user may use thousands of data points per month. 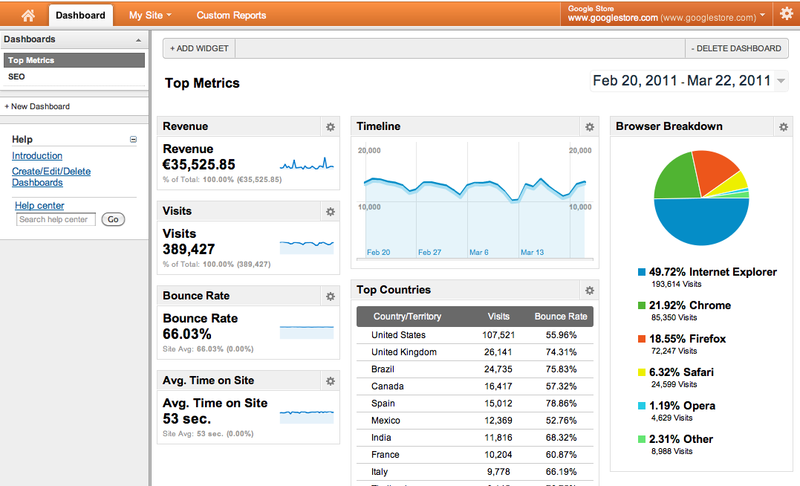 Summary: Google Analytics (GA) is the most widely known and used website reporting solution. Get simple reports from traffic, and complex reporting including goals. Summary: Handle your online advertising through Adroll. They include advertising on Facebook, Twitter, Instagram, Google, and others. One platform, several advertising options. Price: Based on advertising spend. Summary: Retarget your ads based on traffic you’ve already gotten. Once visitors leave your site, you can still share your message in advertising opportunities, all through Perfect Audience. Price: Free for 14 Days, based on advertising spend. Summary: See what your competitors are doing for ads. Get access to their copy, keywords, and more. Know all about your competition before spending money on advertising. Price: From $44/mo paid annually. Summary: A tool for connecting with mobile users through push notifications, Facebook messenger, and within your apps. Used to improve conversions, engagement, and retention. Summary: The mobile option to interact with your users. 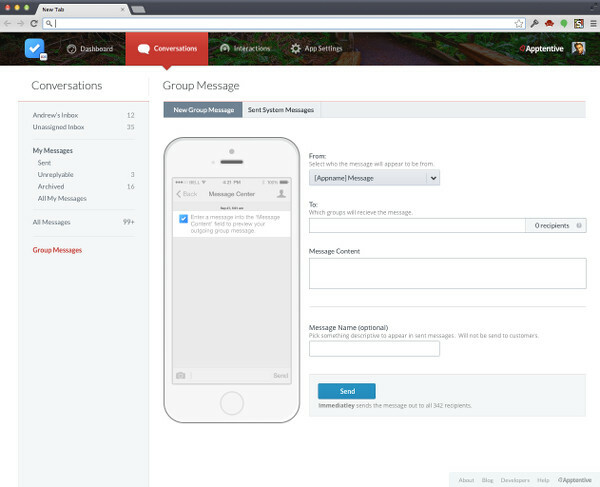 Apptentive provides support options, in-app messaging, surveys, rating prompts, and more. All of these features help you understand your users and make retention decisions. Price: 30-Day free trial for up to 100,000 users. Summary: One dashboard for all of your most important metrics. Cyfe has extensive options to display all of the information you need on your dashboards. Summary: Another dashboard option that is the easiest to use. The average internet user can quickly set up beautiful dashboards for their team without knowing code or other technical terms. Summary: A free tool that makes design easy and user-friendly. Free templates for the most popular dimension sizes (from social media to advertising) and some free stock images to use. Summary: Design your own infographics with a simple to use web app. There are several infographic templates to choose from, as well as premium options. Summary: A video hosting platform that gives videos a premium look without advertising. Unprecedented video analytics with video heatmaps and viewing trends. Price: Start by hosting 3 videos for free. With thousands of digital marketing products on the market, what are some of your favorites? What are others you’ve heard of that we haven’t included here? You will find some intriguing points in time in this post but I do not know if I see all of them center to heart. There is certainly some validity but I will take hold opinion till I appear into it further. Good write-up , thanks and we want more! Thank you so much for giving everyone a very wonderful possiblity to discover important secrets from this site. It’s usually very good and as well , full of amusement for me personally and my office mates to visit your web site really three times a week to find out the fresh items you have got. And definitely, I’m always amazed considering the powerful knowledge you serve. Selected 3 points in this article are definitely the very best we have all ever had. Almost all of whatever you state happens to be supprisingly legitimate and it makes me ponder why I hadn’t looked at this in this light previously. Your piece truly did switch the light on for me as far as this specific topic goes. Nonetheless there is actually 1 point I am not necessarily too cozy with so while I make an effort to reconcile that with the actual main theme of the point, allow me see just what all the rest of the readers have to say.Nicely done. The next time I learn a weblog, I hope that it doesnt disappoint me as a lot as this one. I imply, I do know it was my option to read, however I really thought youd have something fascinating to say. All I hear is a bunch of whining about something that you could repair in case you werent too busy searching for attention. Thank you very much for sharing this, I bookmarked the page. I’m furthermore in search of data about towelroot v3, have you any idea exactly where I can discover something like this? I’ll come back quickly! I just want to mention I am very new to weblog and seriously liked your web page. Most likely I’m going to bookmark your website . You amazingly have really good posts. Appreciate it for revealing your web-site. Aw, this was a really nice post. In thought I wish to put in writing like this moreover – taking time and precise effort to make an excellent article… however what can I say… I procrastinate alot and not at all seem to get something done. It’s an amazing post in support of all the web visitors; they will obtain advantage from it I am sure. I just want to tell you that I am all new to blogging and site-building and seriously liked you’re blog site. Almost certainly I’m going to bookmark your website . You definitely come with fabulous well written articles. Thanks for sharing with us your blog site. Howdy there, just turned out to be aware about your weblog through Google, and have found that it’s pretty good. I’ll appreciate if you carry on this idea. It’s truly a great and helpful piece of information. I am glad that you simply shared this helpful information with us. Please keep us up to date like this. Thanks for sharing. It really is suitable day to put together some goals for the forthcoming future. I have scan this blog posting and if I can possibly, I desire to suggest you couple insightful assistance. I together with my guys were looking at the excellent pointers found on your site and then all of a sudden got a terrible feeling I never thanked the website owner for those secrets. The people were totally excited to learn all of them and already have undoubtedly been tapping into them. Appreciation for getting quite helpful and also for getting such incredible subject areas most people are really wanting to understand about. My personal honest apologies for not saying thanks to earlier. naturally like your website however you need to test the spelling on quite a few of your posts. A number of them are rife with spelling problems and I find it very troublesome to inform the truth however I will definitely come again again. I’ve been surfing on-line more than three hours lately, but I by no means discovered any attention-grabbing article like yours. It¡¦s pretty price sufficient for me. In my view, if all site owners and bloggers made just right content material as you probably did, the internet can be much more helpful than ever before. whoah this blog is fantastic i love studying your articles. Keep up the good work! You know, a lot of individuals are hunting round for this info, you can help them greatly. hi!,I like your writing very much! proportion we be in contact extra approximately your post on AOL? I require a specialist on this house to unravel my problem. Maybe that is you! Taking a look ahead to peer you. Itâ€™s really a great and helpful piece of info. Iâ€™m glad that you shared this useful information with us. Please keep us informed like this. Thank you for sharing. A fascinating discussion is definitely worth comment. I do believe that you ought to write more on this issue, it might not be a taboo matter but generally folks don’t discuss such topics. To the next! Kind regards!! Thanks , I’ve recently been looking for information about this subject for a long time and yours is the greatest I have found out till now. However, what in regards to the conclusion? Are you sure concerning the source? you’re actually a good webmaster. The web site loading velocity is incredible. It sort of feels that you are doing any unique trick. In addition, The contents are masterpiece. you have done a excellent job in this topic! mood to lift a little, having got almost stifling. You really make it appear really easy along with your presentation however I find this topic to be actually one thing that I feel I might never understand. It seems too complicated and extremely vast for me. I’m looking forward for your next post, I will try to get the hold of it! A person necessarily help to make critically posts I might state. That is the very first time I frequented your web page and thus far? I amazed with the research you made to create this particular post incredible. Wonderful task! understand what you’re speaking about! Bookmarked. Please also consult with my web site =). enough, so let s not assume the worst. My husband and i have been now glad when Ervin managed to deal with his inquiry from your ideas he gained while using the blog. It is now and again perplexing to simply always be giving freely information and facts which usually many people could have been trying to sell. And we all realize we need the writer to thank for that. The main explanations you made, the simple blog menu, the friendships your site help to create – it’s mostly great, and it’s really facilitating our son and the family reason why this issue is excellent, which is extraordinarily essential. Thank you for everything! Magnificent goods from you, man. I have understand your stuff previous to and you’re just too magnificent. I really like what you’ve acquired here, really like what you’re saying and the way in which you say it. You make it enjoyable and you still care for to keep it sensible. I can’t wait to read far more from you. This is actually a terrific website. Some really superb info , Gladiola I detected this. “Three things you can be judged by your voice, your face, and your disposition.” by Ignas Bernstein. I would like to thnkx for the efforts you have put in writing this web site. I’m hoping the same high-grade site post from you in the upcoming as well. In fact your creative writing skills has encouraged me to get my own web site now. Actually the blogging is spreading its wings rapidly. Your write up is a good example of it. obviously like your website but you have to check the spelling on several of your posts. A number of them are rife with spelling issues and I in finding it very troublesome to inform the reality on the other hand I will surely come again again. Greetings! Quite educational assistance in just this special write-up! It’s the very little improvements that will create the most important adjustments. Several because of for sharing! Great – I should definitely pronounce, impressed with your web site. I had no trouble navigating through all the tabs and related info ended up being truly easy to do to access. I recently found what I hoped for before you know it at all. Reasonably unusual. Is likely to appreciate it for those who add forums or something, site theme . a tones way for your client to communicate. Excellent task. exploring it was unbelievable,i was the one shaking like a leaf now. Good post. I be taught something tougher on different blogs everyday. It should at all times be stimulating to read content from different writers and observe just a little something from their store. I’d want to make use of some with the content material on my weblog whether you don’t mind. Natually I’ll offer you a link on your internet blog. Thanks for sharing. Its good as your other content : D, thankyou for posting . “Age is a function of mind over matter if you don’t mind, it doesn’t matter.” by Leroy Robert Satchel Paige. The very next time I read a blog, Hopefully it won’t fail me as much as this one. I mean, Yes, it was my choice to read, but I truly believed you would probably have something interesting to talk about. All I hear is a bunch of moaning about something you could fix if you weren’t too busy seeking attention. Thanks for some other informative website. Where else could I get that type of info written in such a perfect approach? I have a venture that I am just now running on, and I’ve been on the look out for such info. Some genuinely superb content on this internet site, thank you for contribution. “An alcoholic is someone you don’t like who drinks as much as you do.” by Dylan Thomas. Thanks a bunch for sharing this with all people you actually realize what you’re talking approximately! Bookmarked. Please additionally seek advice from my site =). We can have a hyperlink exchange arrangement among us! Wow, wonderful blog format! How long have you been running a blog for? you make running a blog glance easy. The entire glance of your web site is magnificent, as smartly as the content! I conceive this site has some real wonderful info for everyone :D. “Believe those who are seeking the truth doubt those who find it.” by Andre Gide. magnificent issues altogether, you just won a logo new reader. What would you recommend in regards to your post that you simply made a few days ago? Any sure? Someone essentially assist to make seriously posts I might state. That is the first time I frequented your website page and thus far? I amazed with the analysis you made to make this particular post extraordinary. Fantastic process! I enjoy you because of each of your labor on this site. My mother really loves getting into investigations and it’s easy to understand why. We learn all relating to the compelling mode you offer great steps on this web site and as well recommend participation from some other people about this idea plus my daughter is actually becoming educated so much. Have fun with the remaining portion of the new year. You have been performing a remarkable job. magnificent publish, very informative. I ponder why the opposite experts of this sector don’t realize this. You must proceed your writing. I’m confident, you have a great readers’ base already! Wow, marvelous blog structure! How long have you ever been blogging for? you make running a blog look easy. The overall look of your site is great, let alone the content! Hello there, just was aware of your blog through Google, and found that it is really informative. I am gonna be careful for brussels. I’ll be grateful if you proceed this in future. Many other people will probably be benefited from your writing. Cheers! hi!,I like your writing very a lot! percentage we be in contact more about your post on AOL? I require an expert in this space to unravel my problem. Maybe that is you! Taking a look ahead to look you. magnificent issues altogether, you simply won a logo new reader. What may you recommend about your post that you simply made some days ago? Any positive? I really enjoy examining on this website , it holds excellent content . “Heavier-than-air flying machines are impossible.” by Lord Kelvin. I’ve been surfing online more than three hours lately, yet I never found any fascinating article like yours. It¡¦s pretty value enough for me. In my opinion, if all site owners and bloggers made just right content material as you did, the internet will probably be a lot more useful than ever before. Hi folks there, just turned out to be aware of your blog page through Search engine, and realized that it’s genuinely informative. I will be grateful should you continue on this idea. You’re so interesting! I do not suppose I’ve truly read through a single thing like that before. So good to find another person with some unique thoughts on this issue. Seriously.. many thanks for starting this up. This web site is something that is needed on the web, someone with a little originality! A lot of thanks for every one of your effort on this web page. Kate really loves carrying out investigation and it’s simple to grasp why. I learn all concerning the powerful mode you render effective information through this website and therefore invigorate participation from some other people about this issue and my simple princess is now being taught so much. Take pleasure in the remaining portion of the year. You’re doing a really good job. Thank you a lot for sharing this with all people you actually recognize what you are talking approximately! Bookmarked. Kindly additionally talk over with my website =). We may have a link trade arrangement between us! F*ckin’ awesome issues here. I am very happy to peer your article. Thank you a lot and i am having a look ahead to contact you. Will you kindly drop me a mail? Hi there, just became familiar with your blog site through The Big G, and found that it’s seriously informational. I will appreciate in the event you persist these. whoah this weblog is great i really like reading your articles. Stay up the great paintings! You already know, a lot of persons are searching round for this information, you could help them greatly. Nice read, I just passed this onto a colleague who was doing a little research on that. And he actually bought me lunch as I found it for him smile Thus let me rephrase that: Thank you for lunch! “To be 70 years young is sometimes far more cheerful and hopeful than to be 40 years old.” by Oliver Wendell Holmes. Hi there very cool site!! Guy .. Excellent .. Wonderful .. I will bookmark your blog and take the feeds additionally…I am satisfied to seek out a lot of helpful info right here within the put up, we need develop more techniques in this regard, thanks for sharing. Gday here, just turned out to be mindful of your article through The Big G, and found that it’s truly interesting. I will take pleasure in if you decide to retain this idea. Some genuinely wonderful posts on this site, thanks for contribution. “He that falls in love with himself will have no rivals.” by Benjamin Franklin. Thank you a lot for providing individuals with an extremely marvellous opportunity to read in detail from this web site. It is usually very amazing and also packed with a lot of fun for me personally and my office peers to visit the blog on the least thrice in 7 days to read through the new items you have. And of course, we’re actually fascinated with all the great methods you serve. Certain 4 ideas in this article are particularly the most efficient we have had. I would like to thnkx for the efforts you’ve put in writing this website. I am hoping the same high-grade website post from you in the upcoming as well. Actually your creative writing abilities has encouraged me to get my own site now. Really the blogging is spreading its wings fast. Your write up is a great example of it. Right here is the perfect webpage for everyone who hopes to understand this topic. You understand so much its almost tough to argue with you (not that I really will need to…HaHa). You definitely put a fresh spin on a subject that has been discussed for decades. Wonderful stuff, just excellent! Good day here, just started to be aware about your blogging site through The Big G, and discovered that it’s genuinely good. I will appreciate if you persist this. Rattling nice style and wonderful content material , practically nothing else we want : D.
I am not certain where you are getting your information, however good topic. I needs to spend some time finding out more or understanding more. Thanks for great info I used to be on the lookout for this information for my mission. Aw, this was a Really positive report. Getting the season and true energy toward deliver a constructive write-up… yet what can I say… I be reluctant a complete large amount and wear’t afford toward just take a little something carried out. I was studying some of your articles on this internet site and I believe this site is rattling instructive! Keep on posting . I really enjoy looking at on this web site , it holds superb posts . “He who sees the truth, let him proclaim it, without asking who is for it or who is against it.” by Henry George. Hi folks here, just turned familiar with your website through Bing and yahoo, and discovered that it is quite informative. I’ll appreciate if you retain this post. Buy tickets for Desert Safari and Sunset Barbecue in Dubai. Book early with Attraction Tickets Direct to avoid missing out. Some genuinely good content on this site, thanks for contribution. “Gratitude is merely the secret hope of further favors.” by La Rochefoucauld. I do trust all of the concepts you’ve presented for your post. They’re really convincing and will definitely work. Nonetheless, the posts are too quick for novices. Could you please prolong them a bit from next time? Thanks for the post. Hi there very cool web site!! Man .. Beautiful .. Wonderful .. I’ll bookmark your site and take the feeds also…I’m glad to search out numerous helpful information right here within the put up, we need work out extra techniques on this regard, thanks for sharing. Thank you, I’ve just been searching for information about this topic for ages and yours is the greatest I’ve came upon so far. But, what concerning the bottom line? Are you sure about the supply? great submit, very informative. I’m wondering why the opposite experts of this sector do not understand this. You must continue your writing. I am sure, you’ve a huge readers’ base already! Wonderful goods from you, man. I have understand your stuff previous to and you’re just too wonderful. I actually like what you have acquired here, really like what you are stating and the way in which you say it. You make it enjoyable and you still care for to keep it smart. I can not wait to read far more from you. This is really a terrific web site. Spot on with this write-up, I actually suppose this web site needs far more consideration. I’ll probably be once more to learn far more, thanks for that info. Needed to send you one very little observation so as to say thanks a lot the moment again on the superb suggestions you have shared at this time. It’s quite remarkably open-handed with you to make unhampered exactly what numerous people could have distributed for an e book in order to make some profit for their own end, even more so seeing that you might have tried it if you desired. Those principles additionally worked to provide a great way to know that the rest have the same keenness much like my personal own to learn a good deal more with regard to this condition. I think there are millions of more fun occasions up front for people who look into your site. What i don’t understood is in truth how you’re not really much more neatly-liked than you might be right now. You’re very intelligent. You already know therefore considerably with regards to this topic, made me in my view consider it from numerous various angles. Its like women and men are not fascinated until it’s something to accomplish with Girl gaga! Your own stuffs excellent. All the time maintain it up! Good ¡V I should definitely pronounce, impressed with your site. I had no trouble navigating through all tabs as well as related information ended up being truly easy to do to access. I recently found what I hoped for before you know it at all. Quite unusual. Is likely to appreciate it for those who add forums or anything, web site theme . a tones way for your client to communicate. Excellent task.. I together with my pals have been examining the best points found on your web blog and then came up with a horrible suspicion I had not expressed respect to the blog owner for those techniques. My men are already consequently excited to study all of them and have now pretty much been loving these things. Thanks for truly being indeed kind and for opting for varieties of wonderful things most people are really desperate to understand about. Our sincere regret for not saying thanks to you earlier. I must express some appreciation to the writer for bailing me out of this scenario. Just after exploring throughout the search engines and seeing ideas which were not pleasant, I assumed my life was gone. Existing without the approaches to the difficulties you’ve fixed by means of the short article is a crucial case, and those that could have in a negative way affected my career if I hadn’t encountered your blog. Your own personal understanding and kindness in touching all the pieces was vital. I am not sure what I would’ve done if I hadn’t encountered such a subject like this. I can also at this time relish my future. Thanks a lot so much for the skilled and results-oriented guide. I won’t hesitate to suggest your site to any individual who desires counselling about this area. Hey there, just turned conscious of your blogging site through Search engines like google, and found that it is really entertaining. I will appreciate should you decide keep up this. This site can be quite a walk-through it is the data you wanted during this to failed to have an understanding of exactly who must. Glimpse here, and in addition you are going to probably acquire it again. Hi, Neat post. There is a problem together with your site in web explorer, would test this… IE still is the market leader and a big element of folks will miss your magnificent writing due to this problem. Someone essentially assist to make significantly posts I would state. This is the very first time I frequented your web page and so far? I amazed with the analysis you made to make this actual put up amazing. Magnificent activity! you are actually a excellent webmaster. The website loading velocity is incredible. It kind of feels that you are doing any distinctive trick. Also, The contents are masterwork. you have performed a wonderful activity in this subject! Very well written post. It will be valuable to everyone who utilizes it, as well as me. Keep doing what you are doing – can’r wait to read more posts. Normally I don’t learn article on blogs, but I would like to say that this write-up very pressured me to check out and do it! Your writing taste has been surprised me. Thanks, very nice article. Hiya, I am really glad I’ve found this info. Today bloggers publish only about gossips and web and this is really annoying. A good website with exciting content, that’s what I need. Thanks for keeping this web site, I will be visiting it. Do you do newsletters? Cant find it. My spouse and i have been very thrilled Michael could finish off his investigations because of the precious recommendations he received when using the web page. It’s not at all simplistic to simply be handing out tricks which often other folks could have been trying to sell. So we know we now have you to give thanks to for this. The most important explanations you have made, the straightforward site navigation, the friendships you can help to engender – it’s mostly wonderful, and it’s helping our son and the family reason why that topic is satisfying, and that’s particularly serious. Thanks for the whole lot! It seems like a single of the guys could deal with one skinny girl twerking but when the other came it was also a lot for him. Some really nice and useful info on this web site, as well I conceive the design and style holds superb features. You actually make it appear really easy along with your presentation but I in finding this topic to be really one thing that I believe I would never understand. It kind of feels too complex and very vast for me. I’m having a look ahead for your next submit, I¡¦ll attempt to get the cling of it! hello!,I really like your writing so a lot! percentage we be in contact more approximately your article on AOL? I need an expert on this house to unravel my problem. Maybe that is you! Looking forward to peer you. F*ckin’ tremendous issues here. I’m very happy to see your article. Thanks so much and i’m taking a look ahead to touch you. Will you kindly drop me a e-mail? You’re completely right! I loved reading this info and I will return for more as soon as possible. My internet site is dealing with facetime on windows, you could check it out if you are interested in that. I would like to get across my appreciation for your kindness for individuals that really need guidance on that topic. Your special dedication to passing the message all-around had been unbelievably functional and has continually encouraged workers much like me to realize their desired goals. This interesting guideline signifies so much a person like me and still more to my fellow workers. Many thanks; from everyone of us. Thanks a bunch for sharing this with all of us you actually recognise what you’re talking approximately! Bookmarked. Please also consult with my web site =). We will have a link trade arrangement between us! F*ckin’ tremendous things here. I am very satisfied to peer your article. Thanks a lot and i’m having a look forward to contact you. Will you kindly drop me a e-mail? this means up and down).|Our Instructors have been busy finding out the AUSSIE TWERK way and becoming Aussie Twerk Certified Instructors…. I genuinely enjoy reading through on this internet site , it has wonderful posts . “The great secret of power is never to will to do more than you can accomplish.” by Henrik Ibsen. Only wanna input that you have a very nice website , I love the style it really stands out. hello!,I love your writing so much! proportion we communicate extra approximately your article on AOL? I require a specialist in this house to solve my problem. Maybe that’s you! Having a look forward to look you. Hi, Neat post. There’s an issue along with your website in internet explorer, might test this… IE still is the market chief and a big portion of people will miss your excellent writing due to this problem. I was reading through some of your content on this internet site and I conceive this site is real instructive! Keep on putting up. Keep up the excellent work , I read few blog posts on this web site and I think that your weblog is really interesting and contains sets of good information. F*ckin’ tremendous issues here. I am very happy to see your article. Thank you a lot and i am looking forward to touch you. Will you please drop me a e-mail? I’ve been surfing on-line more than 3 hours today, yet I by no means found any fascinating article like yours. It is lovely worth enough for me. In my view, if all webmasters and bloggers made excellent content as you probably did, the internet shall be much more useful than ever before. Thanks so much for giving everyone such a wonderful possiblity to discover important secrets from this website. It is usually so pleasant and as well , packed with a lot of fun for me personally and my office fellow workers to visit your web site particularly thrice in one week to find out the fresh guidance you will have. And indeed, I’m just at all times contented with your wonderful points served by you. Certain 1 facts in this posting are undoubtedly the most beneficial we’ve had. Thank you for sharing superb informations. Your site is so cool. I’m impressed by the details that you’ve on this site. It reveals how nicely you perceive this subject. Bookmarked this web page, will come back for extra articles. You, my friend, ROCK! I found simply the info I already searched all over the place and simply could not come across. What an ideal web-site. You could certainly see your enthusiasm within the paintings you write. The world hopes for more passionate writers like you who aren’t afraid to mention how they believe. All the time follow your heart. “Faith in the ability of a leader is of slight service unless it be united with faith in his justice.” by George Goethals. That is very attention-grabbing, You are an overly skilled blogger. I have joined your rss feed and sit up for seeking more of your excellent post. Additionally, I have shared your web site in my social networks! Its superb as your other posts : D, appreciate it for posting . “Even Albert Einstein reportedly needed help on his 1040 form.” by Ronald Reagan. Wow, wonderful weblog structure! How lengthy have you been blogging for? you make running a blog look easy. The overall look of your website is magnificent, as smartly as the content material! Great blog! Do you have any hints for aspiring writers? I’m planning to start my own site soon but I’m a little lost on everything. Would you propose starting with a free platform like WordPress or go for a paid option? There are so many options out there that I’m totally overwhelmed .. Any tips? Kudos! Do you have a spam problem on this blog; I also am a blogger, and I was wanting to know your situation; many of us have created some nice practices and we are looking to swap techniques with others, why not shoot me an email if interested. magnificent points altogether, you simply gained a emblem new reader. What might you recommend about your post that you made some days ago? Any certain? Thanks for the auspicious writeup. It in truth was a entertainment account it. Look complicated to more added agreeable from you! By the way, how can we communicate? Hi I am so thrilled I found your website, I really found you by accident, while I was browsing on Digg for something else, Nonetheless I am here now and would just like to say cheers for a incredible post and a all round exciting blog (I also love the theme/design), I don’t have time to go through it all at the moment but I have book-marked it and also added in your RSS feeds, so when I have time I will be back to read a great deal more, Please do keep up the fantastic work. Hey would you mind stating which blog platform you’re working with? I’m planning to start my own blog soon but I’m having a tough time choosing between BlogEngine/Wordpress/B2evolution and Drupal. The reason I ask is because your design and style seems different then most blogs and I’m looking for something unique. P.S Sorry for getting off-topic but I had to ask! I’m really loving the theme/design of your web site. Do you ever run into any web browser compatibility problems? A couple of my blog audience have complained about my website not operating correctly in Explorer but looks great in Firefox. Do you have any recommendations to help fix this problem? Hi would you mind letting me know which webhost you’re working with? I’ve loaded your blog in 3 completely different internet browsers and I must say this blog loads a lot quicker then most. Can you suggest a good hosting provider at a honest price? Thank you, I appreciate it! Please let me know if you’re looking for a article author for your weblog. You have some really great articles and I feel I would be a good asset. If you ever want to take some of the load off, I’d absolutely love to write some material for your blog in exchange for a link back to mine. Please shoot me an e-mail if interested. Many thanks! Hi! I know this is sort of off-topic but I needed to ask. Does running a well-established blog such as yours require a large amount of work? I am brand new to writing a blog but I do write in my journal everyday. I’d like to start a blog so I can easily share my experience and thoughts online. Please let me know if you have any suggestions or tips for new aspiring blog owners. Thankyou! My partner and I absolutely love your blog and find most of your post’s to be exactly what I’m looking for. can you offer guest writers to write content in your case? I wouldn’t mind producing a post or elaborating on a lot of the subjects you write about here. Again, awesome blog! Howdy! This is my 1st comment here so I just wanted to give a quick shout out and say I genuinely enjoy reading through your posts. Can you recommend any other blogs/websites/forums that deal with the same topics? Many thanks! naturally like your website but you need to check the spelling on quite a few of your posts. Several of them are rife with spelling issues and I in finding it very bothersome to tell the reality however I’ll certainly come again again. Hi! Quick question that’s totally off topic. Do you know how to make your site mobile friendly? My weblog looks weird when viewing from my iphone 4. I’m trying to find a theme or plugin that might be able to resolve this issue. If you have any recommendations, please share. Thank you! Woah! I’m really loving the template/theme of this site. It’s simple, yet effective. A lot of times it’s difficult to get that “perfect balance” between user friendliness and visual appeal. I must say you’ve done a great job with this. Also, the blog loads extremely quick for me on Safari. Outstanding Blog! Hiya! Quick question that’s entirely off topic. Do you know how to make your site mobile friendly? My web site looks weird when browsing from my iphone 4. I’m trying to find a template or plugin that might be able to fix this problem. If you have any recommendations, please share. Appreciate it! Hello there I am so thrilled I found your weblog, I really found you by error, while I was researching on Bing for something else, Anyways I am here now and would just like to say thanks for a fantastic post and a all round enjoyable blog (I also love the theme/design), I don’t have time to browse it all at the minute but I have bookmarked it and also added in your RSS feeds, so when I have time I will be back to read much more, Please do keep up the superb job. Do you mind if I quote a few of your articles as long as I provide credit and sources back to your blog? My blog site is in the very same area of interest as yours and my visitors would genuinely benefit from some of the information you present here. Please let me know if this alright with you. Appreciate it! Hello! Someone in my Facebook group shared this site with us so I came to check it out. I’m definitely loving the information. I’m bookmarking and will be tweeting this to my followers! Exceptional blog and terrific design and style. Fantastic blog! Do you have any helpful hints for aspiring writers? I’m planning to start my own website soon but I’m a little lost on everything. Would you suggest starting with a free platform like WordPress or go for a paid option? There are so many choices out there that I’m totally confused .. Any ideas? Thanks a lot! Thank you for another informative blog. Where else may just I am getting that type of information written in such an ideal way? I’ve a venture that I’m just now running on, and I have been at the look out for such info. hello!,I really like your writing so a lot! share we keep up a correspondence extra approximately your post on AOL? I need an expert on this space to resolve my problem. Maybe that’s you! Having a look forward to peer you. Hiya, I am really glad I’ve found this info. Nowadays bloggers publish just about gossips and internet and this is really irritating. A good website with interesting content, this is what I need. Thank you for keeping this site, I’ll be visiting it. Do you do newsletters? Can’t find it. Do you mind if I quote a couple of your posts as long as I provide credit and sources back to your website? My website is in the very same niche as yours and my users would certainly benefit from some of the information you provide here. Please let me know if this ok with you. Thank you! I’m really loving the theme/design of your website. Do you ever run into any internet browser compatibility issues? A small number of my blog visitors have complained about my website not working correctly in Explorer but looks great in Firefox. Do you have any suggestions to help fix this problem? First of all I want to say great blog! I had a quick question that I’d like to ask if you don’t mind. I was curious to know how you center yourself and clear your head prior to writing. I have had a hard time clearing my mind in getting my ideas out there. I do take pleasure in writing but it just seems like the first 10 to 15 minutes are generally wasted simply just trying to figure out how to begin. Any suggestions or tips? Kudos! My programmer is trying to persuade me to move to .net from PHP. I have always disliked the idea because of the expenses. But he’s tryiong none the less. I’ve been using WordPress on several websites for about a year and am worried about switching to another platform. I have heard good things about blogengine.net. Is there a way I can transfer all my wordpress posts into it? Any kind of help would be really appreciated! Everyone loves what you guys are up too. This type of clever work and coverage! Keep up the great works guys I’ve added you guys to our blogroll. Great site you have here but I was wondering if you knew of any forums that cover the same topics discussed in this article? I’d really love to be a part of group where I can get comments from other experienced individuals that share the same interest. If you have any recommendations, please let me know. Thanks! Howdy would you mind stating which blog platform you’re using? I’m going to start my own blog in the near future but I’m having a tough time selecting between BlogEngine/Wordpress/B2evolution and Drupal. The reason I ask is because your design seems different then most blogs and I’m looking for something unique. P.S My apologies for being off-topic but I had to ask! My developer is trying to persuade me to move to .net from PHP. I have always disliked the idea because of the costs. But he’s tryiong none the less. I’ve been using WordPress on a variety of websites for about a year and am anxious about switching to another platform. I have heard great things about blogengine.net. Is there a way I can transfer all my wordpress content into it? Any help would be really appreciated! The very heart of your writing while appearing reasonable in the beginning, did not work perfectly with me after some time. Someplace throughout the paragraphs you managed to make me a believer but just for a while. I nevertheless have a problem with your leaps in logic and one might do well to help fill in those breaks. In the event you can accomplish that, I would undoubtedly be fascinated. Have you ever thought about including a little bit more than just your articles? I mean, what you say is valuable and everything. Nevertheless just imagine if you added some great graphics or videos to give your posts more, “pop”! Your content is excellent but with pics and videos, this blog could definitely be one of the greatest in its field. Awesome blog! With havin so much written content do you ever run into any problems of plagorism or copyright infringement? My blog has a lot of completely unique content I’ve either authored myself or outsourced but it seems a lot of it is popping it up all over the web without my agreement. Do you know any solutions to help stop content from being ripped off? I’d genuinely appreciate it. Hello there I am so glad I found your web site, I really found you by accident, while I was researching on Yahoo for something else, Anyhow I am here now and would just like to say thank you for a marvelous post and a all round entertaining blog (I also love the theme/design), I don’t have time to go through it all at the moment but I have book-marked it and also added your RSS feeds, so when I have time I will be back to read a great deal more, Please do keep up the great job. My developer is trying to persuade me to move to .net from PHP. I have always disliked the idea because of the expenses. But he’s tryiong none the less. I’ve been using Movable-type on a number of websites for about a year and am worried about switching to another platform. I have heard very good things about blogengine.net. Is there a way I can import all my wordpress content into it? Any help would be greatly appreciated! Thanks for the marvelous posting! I truly enjoyed reading it, you may be a great author.I will be sure to bookmark your blog and definitely will come back later on. I want to encourage one to continue your great posts, have a nice morning! Do you mind if I quote a couple of your posts as long as I provide credit and sources back to your webpage? My blog site is in the very same niche as yours and my visitors would truly benefit from a lot of the information you present here. Please let me know if this alright with you. Many thanks! Thanks for the marvelous posting! I actually enjoyed reading it, you could be a great author.I will be sure to bookmark your blog and definitely will come back very soon. I want to encourage that you continue your great posts, have a nice weekend! Hello there! Quick question that’s totally off topic. Do you know how to make your site mobile friendly? My web site looks weird when viewing from my apple iphone. I’m trying to find a theme or plugin that might be able to resolve this issue. If you have any recommendations, please share. With thanks! Howdy! Someone in my Facebook group shared this website with us so I came to give it a look. I’m definitely loving the information. I’m bookmarking and will be tweeting this to my followers! Great blog and terrific style and design. I absolutely love your blog and find almost all of your post’s to be exactly I’m looking for. Does one offer guest writers to write content for yourself? I wouldn’t mind creating a post or elaborating on some of the subjects you write in relation to here. Again, awesome web log! We absolutely love your blog and find almost all of your post’s to be exactly I’m looking for. Does one offer guest writers to write content to suit your needs? I wouldn’t mind producing a post or elaborating on many of the subjects you write about here. Again, awesome website! Please let me know if you’re looking for a article writer for your weblog. You have some really great posts and I think I would be a good asset. If you ever want to take some of the load off, I’d really like to write some material for your blog in exchange for a link back to mine. Please blast me an email if interested. Cheers! I am really enjoying the theme/design of your website. Do you ever run into any internet browser compatibility issues? 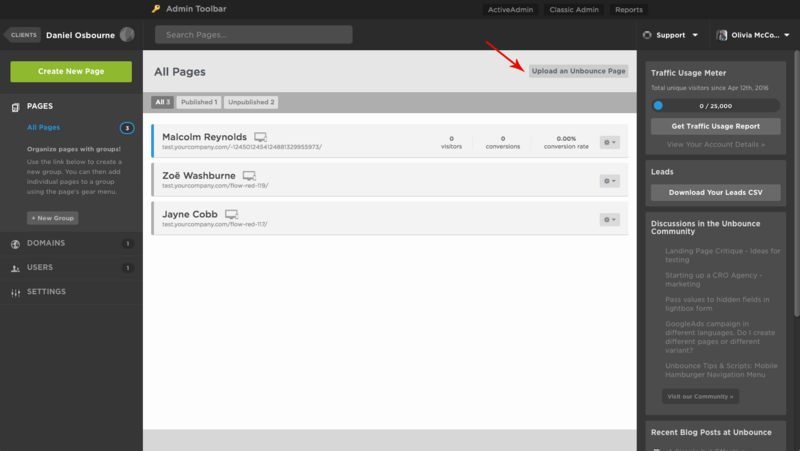 A few of my blog audience have complained about my site not operating correctly in Explorer but looks great in Safari. Do you have any suggestions to help fix this issue? Hey there! I know this is kinda off topic nevertheless I’d figured I’d ask. Would you be interested in trading links or maybe guest writing a blog article or vice-versa? My blog goes over a lot of the same subjects as yours and I feel we could greatly benefit from each other. If you happen to be interested feel free to send me an email. I look forward to hearing from you! Terrific blog by the way! Hey! I know this is kind of off-topic but I had to ask. Does building a well-established website like yours require a lot of work? I’m completely new to running a blog however I do write in my journal on a daily basis. I’d like to start a blog so I can share my personal experience and thoughts online. Please let me know if you have any ideas or tips for brand new aspiring bloggers. Appreciate it! Hmm it appears like your site ate my first comment (it was extremely long) so I guess I’ll just sum it up what I wrote and say, I’m thoroughly enjoying your blog. I as well am an aspiring blog writer but I’m still new to everything. Do you have any helpful hints for first-time blog writers? I’d certainly appreciate it. Have you ever thought about writing an e-book or guest authoring on other blogs? I have a blog based upon on the same information you discuss and would really like to have you share some stories/information. I know my subscribers would appreciate your work. If you’re even remotely interested, feel free to shoot me an e-mail. I am curious to find out what blog platform you are using? I’m having some minor security problems with my latest site and I would like to find something more safeguarded. Do you have any recommendations? Please let me know if you’re looking for a author for your weblog. You have some really great posts and I feel I would be a good asset. If you ever want to take some of the load off, I’d love to write some content for your blog in exchange for a link back to mine. Please send me an email if interested. Regards! Hi there, i read your blog occasionally and i own a similar one and i was just wondering if you get a lot of spam comments? If so how do you reduce it, any plugin or anything you can advise? I get so much lately it’s driving me crazy so any help is very much appreciated. excellent issues altogether, you simply won a logo new reader. What might you suggest in regards to your put up that you simply made a few days ago? Any sure? Hey I am so thrilled I found your site, I really found you by error, while I was looking on Aol for something else, Regardless I am here now and would just like to say cheers for a incredible post and a all round enjoyable blog (I also love the theme/design), I don’t have time to read it all at the minute but I have saved it and also added in your RSS feeds, so when I have time I will be back to read a great deal more, Please do keep up the superb work. Some genuinely nice and useful information on this internet site, also I believe the style and design contains superb features. I’ve been surfing online greater than three hours lately, yet I never discovered any interesting article like yours. It¡¦s pretty value enough for me. In my opinion, if all web owners and bloggers made excellent content material as you did, the internet will be much more useful than ever before. F*ckin’ awesome issues here. I am very happy to look your post. Thank you so much and i am looking ahead to contact you. Will you kindly drop me a e-mail? Hi! I could have sworn I’ve visited this web site before but after going through some of the articles I realized it’s new to me. I’ve learn several just right stuff here. Definitely price bookmarking for revisiting. I surprise how a lot effort you put to create the sort of excellent informative site. Explore the adventurous side of Dubai, with our bespoke tour packages that offer desert safari, overnight safari, Hatta mountain safari, and lots more. This can be the best weblog for any person who desires to locate out about this subject. You understand so considerably its practically hard to argue with you (not that I basically would want…HaHa). You undoubtedly put a new spin on a subject thats been written about for years. Terrific stuff, just excellent! I was reading some of your posts on this website and I think this site is really informative ! Keep posting .